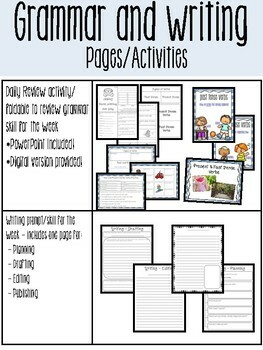 This product features EVERYTHING you need to teach one full week of reading comprehension, vocabulary, grammar, and writing! Many of the activities and work revolve around a read-aloud story at the beginning of the week. 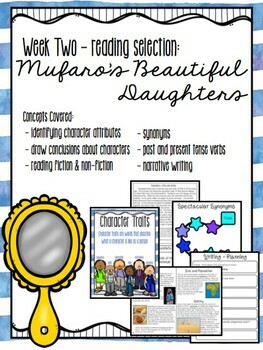 This unit uses the book "Mufaro's Beautiful Daughters" by John Steptoe. 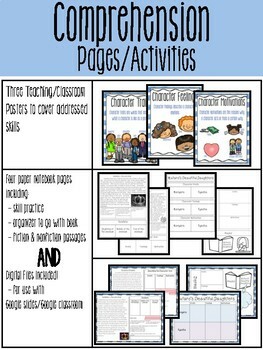 Included in this product are several interactive notebook pages that go along with the skills, vocabulary, and grammar AND a digital file is also included for use with google classroom/google slides! 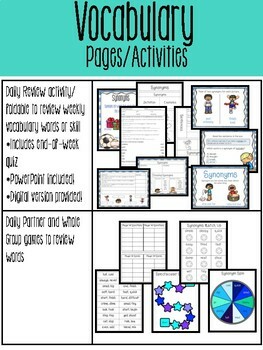 You can choose to have students use the interactive OR digital pages to complete the weekly activities. Answer keys are provided for all material, including picture examples of the notebook pages!